Interested in marketing internships? Learn straight from the source and get to know our (once was) Social Media Intern, Andrea Fogle. She has been building her resume while also learning the in’s and out’s of social media marketing. Andrea started her time at Epic her junior year. While enrolled at Arizona State University, Andrea studied Tourism Development and Management with a minor in Media Analysis. Her passion for social media, the broadcasting and media industry, and the ever-changing digital world brought her to Epic’s doorstep. The rest is history. Through the course of her internship, she’s gained many valuable takeaways for her future. 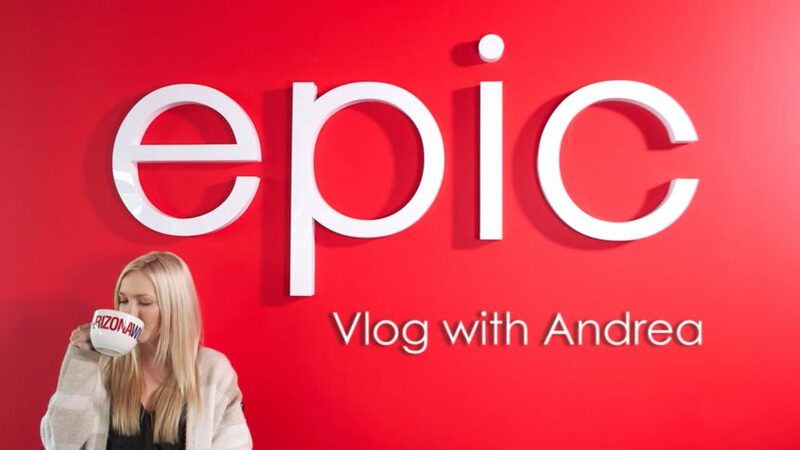 Now, as the Digital Development Manager at Epic, Andrea shares her time being a part of the Epic Productions crew. She focuses on managing social media handles, curating website content, overseeing Epic’s marketing efforts and client’s advertising efforts. In addition, as a Phoenix video production company offering many video services, we aim to help future generations fulfill their passion and gain hands-on experience during their college careers. If you’re looking for internships, keep an eye out for our latest job postings.